Come and give Soccer a go! Its Free and Fun. Castlemaine Goldfields FC (Event will be at Camp Reserve) would like to invite Women and Girls to Come and Try Soccer! 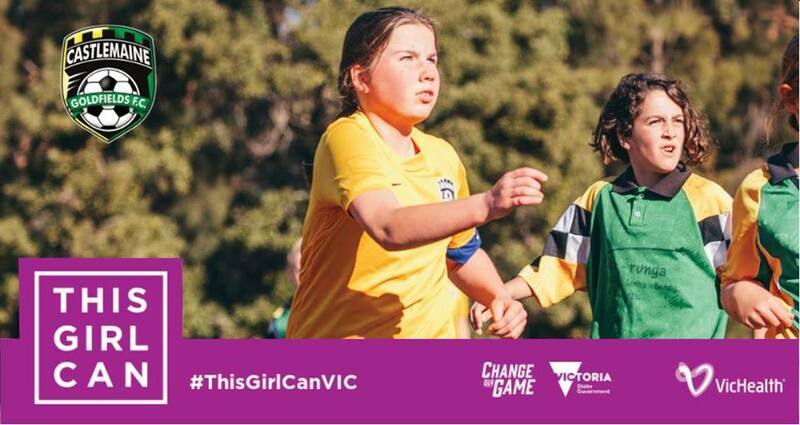 From 10.00am on Sunday the 24th at Camp Reserve (not Chewton) we will hold a ‘This Girl Can’ Come and Try session, for anyone who wants to try out the beautiful game, or just have a fun kick or even cross train for other sports. Including guest coach / player, BBQ, prizes and more.